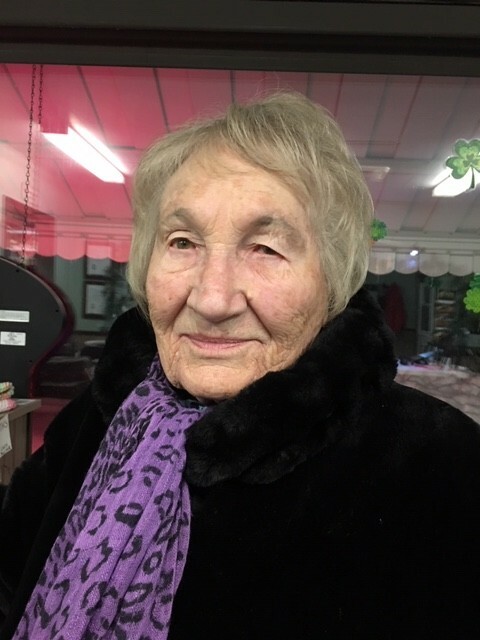 Obituary for Salme Voorand | Heubner Funeral Home Barry's Bay Ltd.
At age 97, Salme passed away peacefully with family and friends beside her at her home at the Water Tower Lodge in Barry’s Bay. Dear mother (Ema) of Pia-Leena (Tom Smith) of Barry’s Bay, Marika-Ly (Garry McKenzie) of Yamba, Australia, and mother to Marianne Surén (Gösta) and her family of Upplands-Väsby, Sweden. Very proud grandmother of Elena Marika and Hailey Martina Voorand of Barry’s Bay; and grandmother/great grandmother to extended families in Newfoundland and Alberta. Last remaining Aunt to families in Estonia. Predeceased by her husband Artur of St. Catharines and later, her partner Paul Jaanson of Buffalo, New York. Salme was born on a farm by the Baltic Sea in Hara, Estonia and fled to Sweden when she was 23 during the upheaval of the Second World War. She became a talented weaver and artist and brought these skills to Canada in 1950 along with her husband and first child. She settled in St. Catharines as a homemaker and weaver for the next 51 years. She was proud to become a Canadian and enjoyed the richness of the Estonian culture in southern Ontario. Eight years ago, she decided to sell her home and move to Barry’s Bay to join her daughter, son-in-law, and granddaughters where she was able to participate in their family life. Salme’s sense of humour, creativity, generosity and caring will be missed by all of her family and friends. Visitation will be on Sunday, December 9th, from 5:30 p.m. to 7:30 p.m. at the Heubner Funeral Home. A candle light memorial service will be held on Monday, December 10th, at the Anglican Church of the Epiphany at 5:00 p.m. with a reception to follow. For those in the Niagara/Toronto area, the interment of her ashes will be held on December 27th at 11:30am at Victoria Lawn Cemetery in St. Catharines. There will be a luncheon to follow.